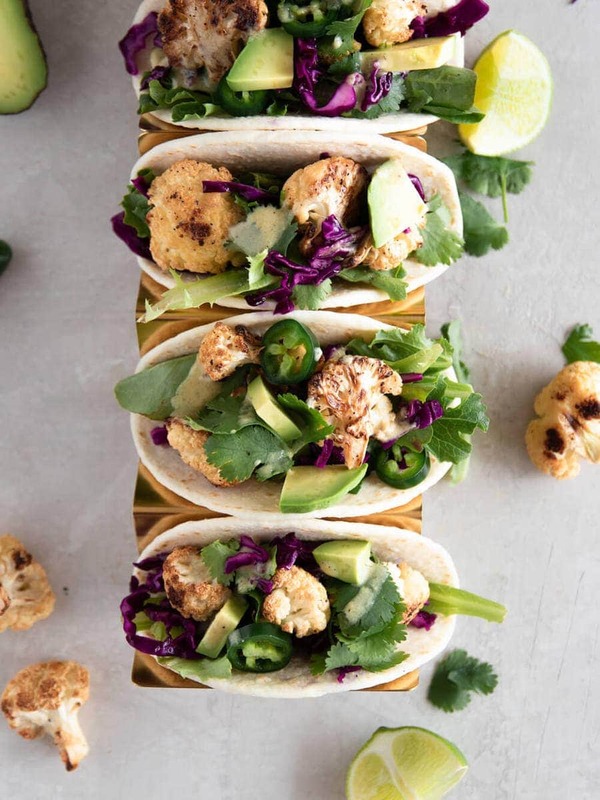 These cauliflower tacos will take taco night to the next level. 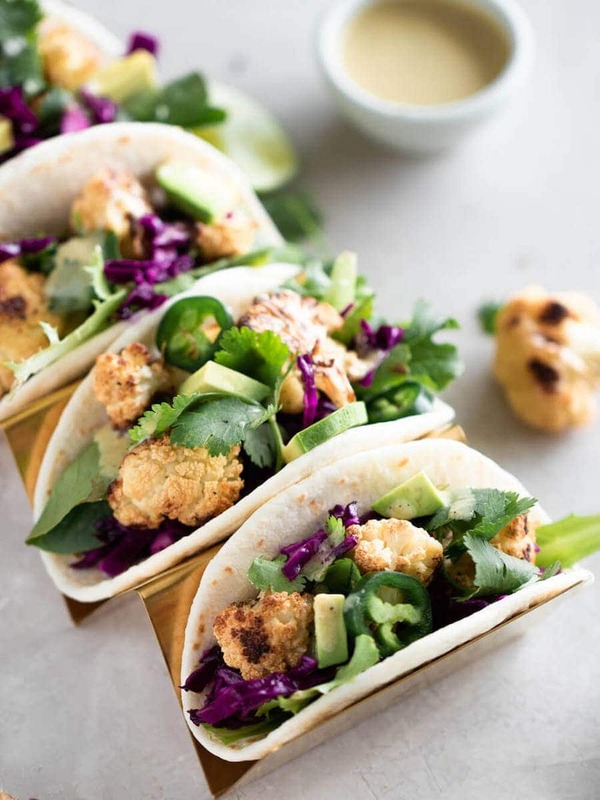 Made with delicious garlicky roasted cauliflower, fresh greens, delicious red cabbage, and a creamy cashew sauce, these mouthwatering cauliflower tacos are filling, tasty, spicy, and make the perfect lunch or dinner! 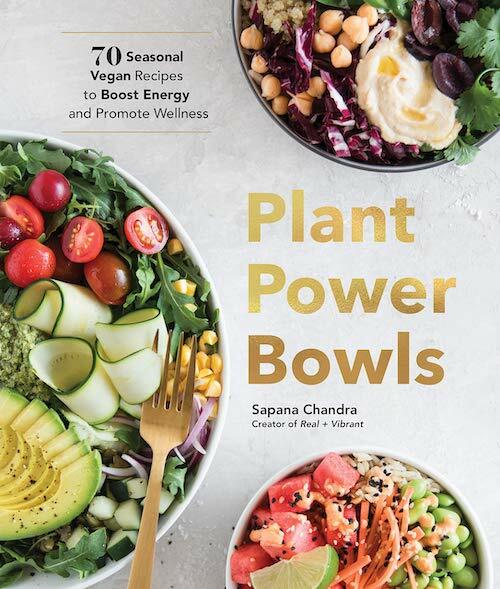 If you follow me on Instagram, you know that many of my bowls are packed with cauliflower. It’s one of the most versatile ingredients. I love adding cauliflower to my smoothies, swapping it for rice when I need an extra serving of veggies, and so much more. I like to roast, sautee, steam, and pretty much cook it in every way I possibly can and know how to. Needless to say, combining cauliflower with one of my favorite meals, tacos (I mean, who doesn’t love tacos?!) made absolute sense. 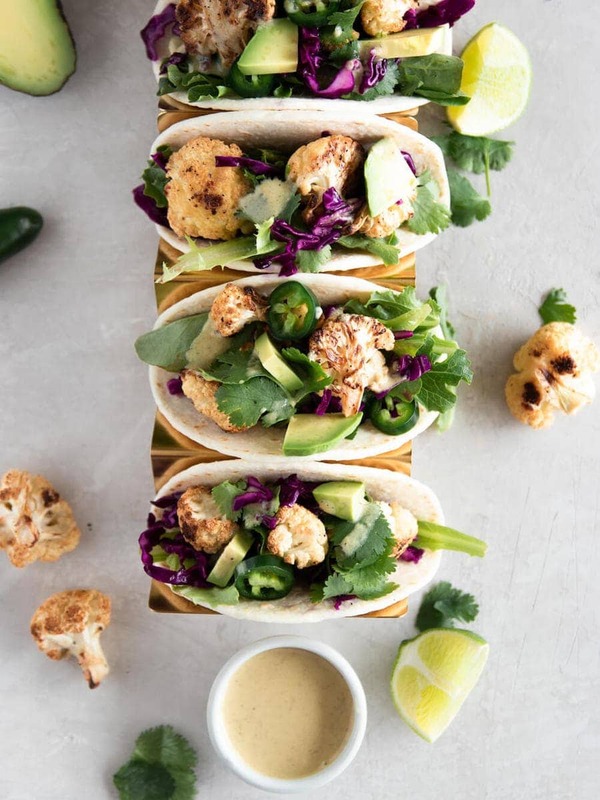 These cauliflower tacos are easy to customize based on the vegetables you have sitting in your fridge so feel free to modify! These tacos come together easily and make for a delicious weeknight dinner. If you prepare the cauliflower in advance, you’ll save even more time when it’s time to enjoy them. First, roast the cauliflower. After thoroughly washing the cauliflower, dry completely and cut it into bite-size florets. Toss in a bowl with oil, garlic, salt, and pepper. Lay flat on a baking sheet and roast for 30 minutes at 450°F, flipping halfway. While the cauliflower is roasting, prepare the cabbage slaw for some crunch. Be sure to thinly slice the cabbage so it’s easy to enjoy. In a bowl, combine with oil, lemon juice, and salt. Massage gently for a few minutes until it’s softer and more vibrant. Prepare the remaining ingredients and once the cauliflower is roasted, it’s time to make the tacos. 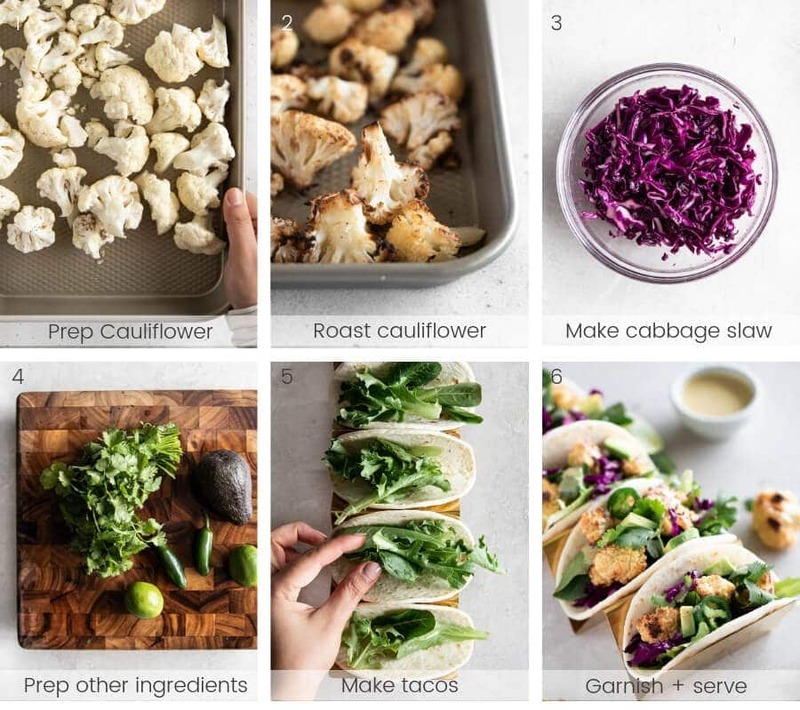 In each taco, layer the greens, roasted cauliflower, cabbage slaw, jalapeno, avocado, cilantro. Drizzle with cashew sauce. Serve and enjoy immediately. If you’re planning to enjoy the tacos later, store everything separately. When it’s time to eat, you’ll just need to assemble the tacos. Add black beans or lentils for a boost in protein and make them even more filling. Use quick pickled cabbage instead for added taste! Be sure to make the pickled cabbage ahead of time. Swap out the slices of avocado with guacamole! If you love guacamole, you know how delicious a little dollop can take on tacos (or really anything). Use broccoli and cauliflower instead of just cauliflower for more variety in vegetables. If you enjoy broccoli, the two make a lovely duo in tacos! Add more toppings or mix them up! Depending on what you have in hand, the possibilities are truly endless. I love adding pico de gallo! If you enjoyed this recipe, here are more of my favorites I think you’ll love just as much!